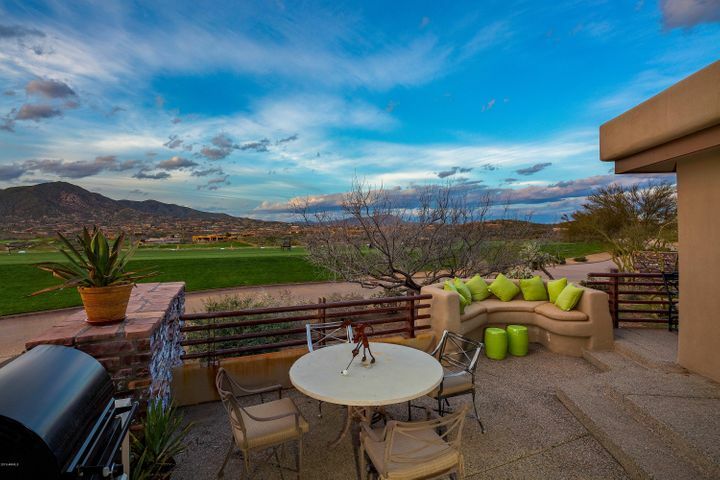 Tucked between the 1st and 9th fairways of Desert Mountain’s Apache course, this small enclave of charming homes boasts a fantastic location, superb views and plenty of Southwestern charm. Imagine living just steps away from the gorgeous Apache clubhouse, which includes an elegant restaurant and lounge, as well as a boutique pro shop. 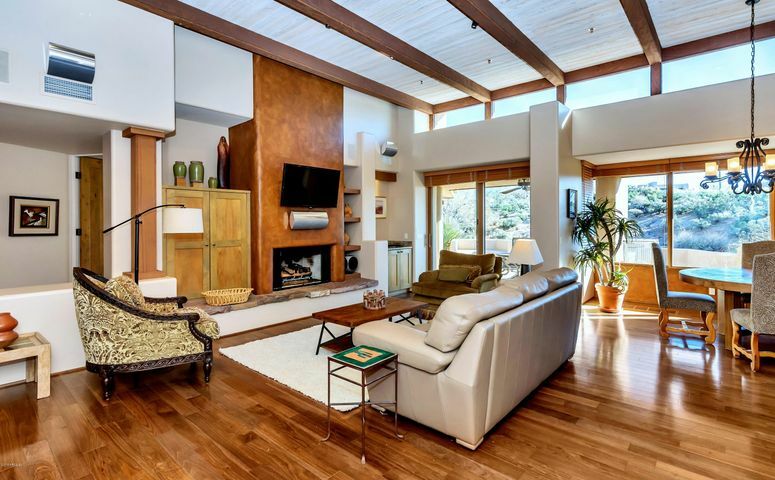 These cozy Desert Mountain homes feature 2 bedrooms plus a den, or 3 bedrooms and range from 2296 to 2454 square feet. Residents enjoy spacious floor plans with a laid back lifestyle. Residents have access to walking paths throughout the Village and a private swimming pool. View all Apache Cottages currently for sale below. To arrange a time to view homes in person, give us a call at (602) 791-0536 or email Carmen@TopScottsdaleHomes.com. Your ideal golf destination awaits you at Desert Mountain. 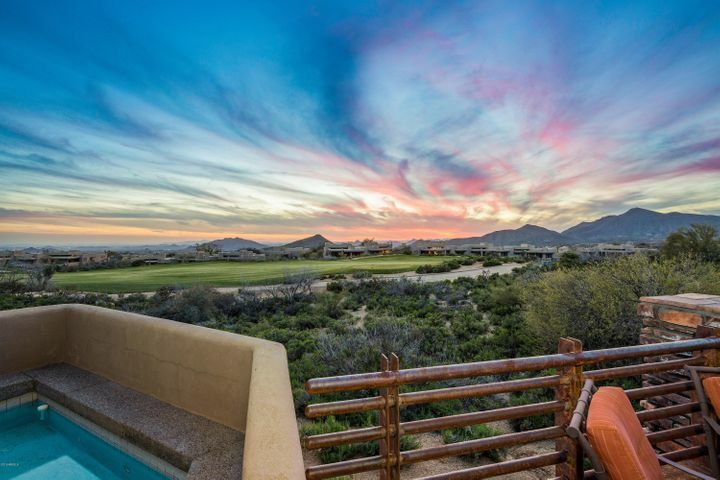 Tucked into the base of the Continental Mountains, Desert Mountain golf homes offer superb views of the landscape, city lights and, of course, the sweeping fairways of six world-renowned golf courses. Imagine having unlimited access to six of Jack Nicklaus’s Signature courses just moments from your home. On top of that, Desert Mountain Club members enjoy six clubhouse facilities with amenities ranging from dining and boutique shopping to fitness and spa services. 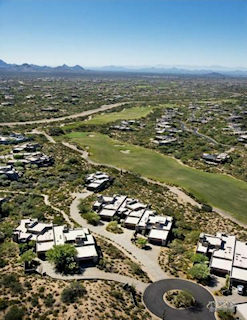 Desert Mountain offers just about every luxury you could ever want from a premier golf community. Stretching over 8,000 acres of coveted Sonoran real estate, Desert Mountain is one of the largest and most desirable Scottsdale communities. It comprises 32 subdivisions, called villages, and offers a wide range of luxury homes. Whether you want a sprawling golf home or a simple yet elegant cottage, you will find the home of your dreams in one of Desert Mountain’s cozy villages. 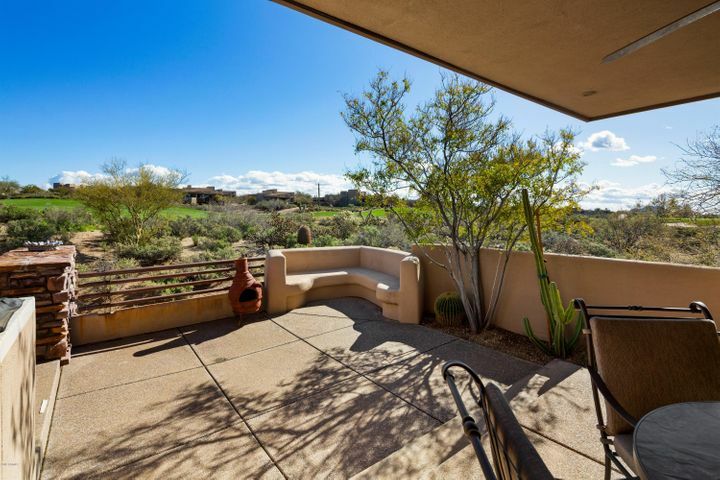 Many homes offer incredible views of either the golf course or desert scenery, and the community’s high elevation affords residents unbeatable views of the Valley. 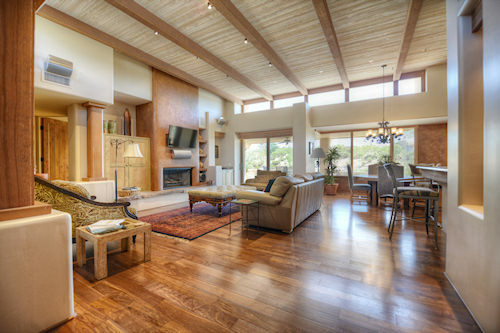 At Desert Mountain, you can experience beauty and luxury that is unmatched anywhere else. 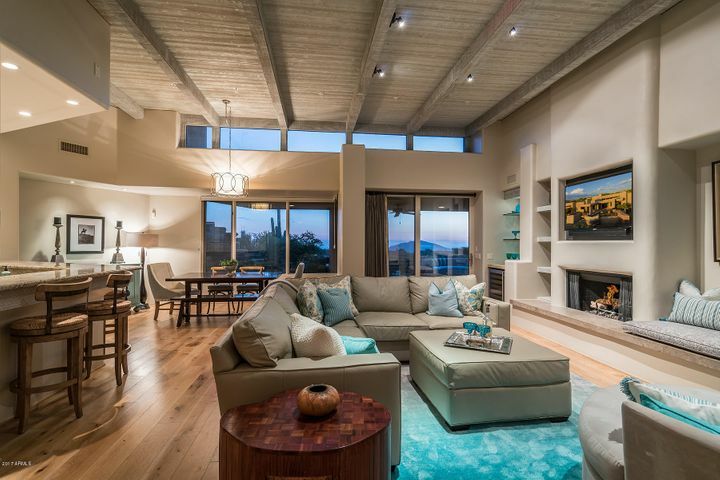 To begin your journey toward owning a Desert Mountain home, use the search above or contact Carmen Brodeur for additional information on this spectacular community. When you are ready, feel free to call Carmen at (602) 791-0536 or email Carmen@TopScottsdaleHomes.com to set up a personal tour of homes.